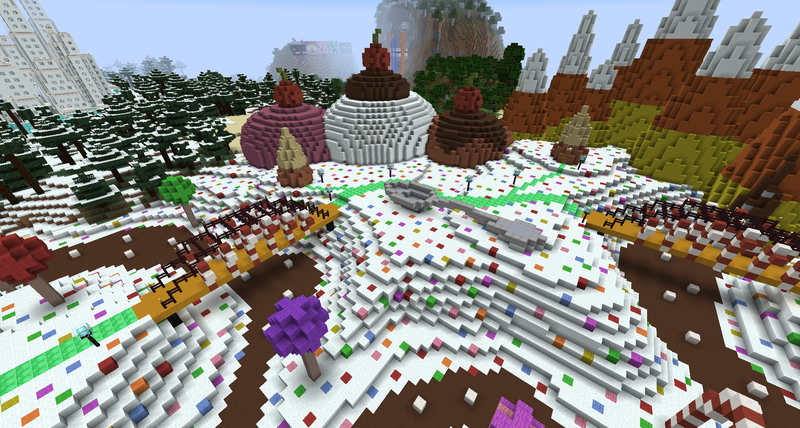 Candy Land from overhead. 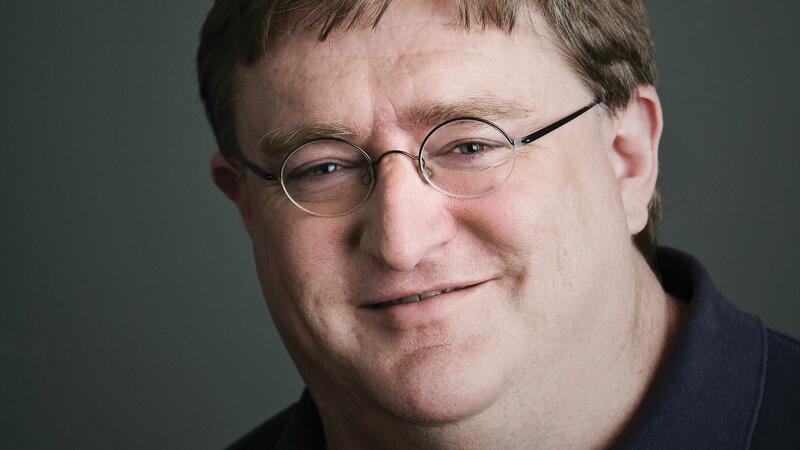 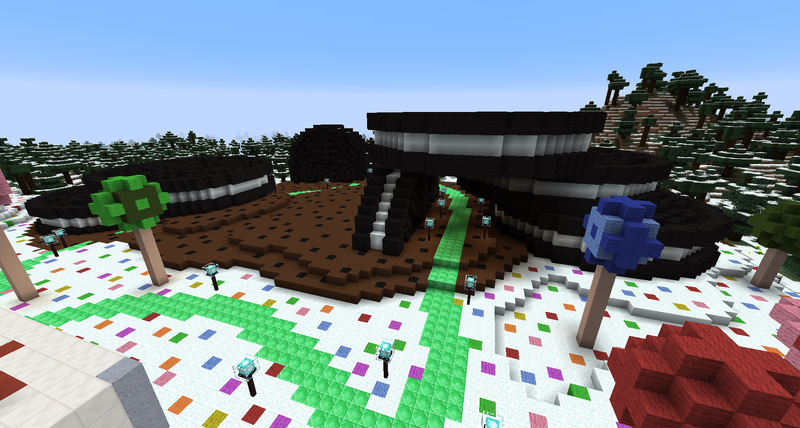 Originally it was a large desert biome. 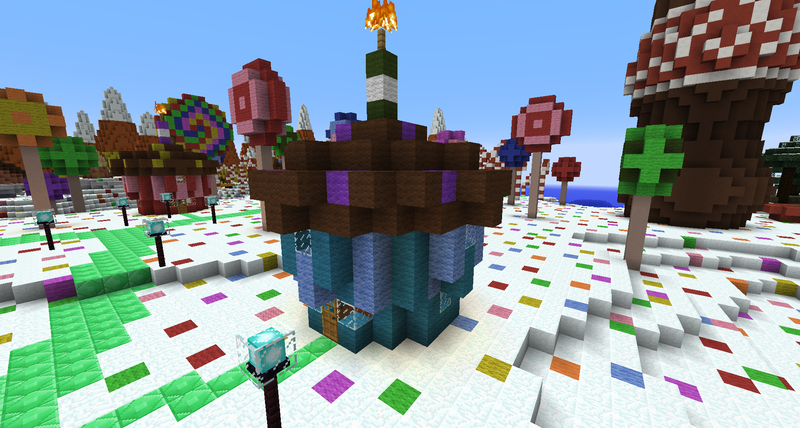 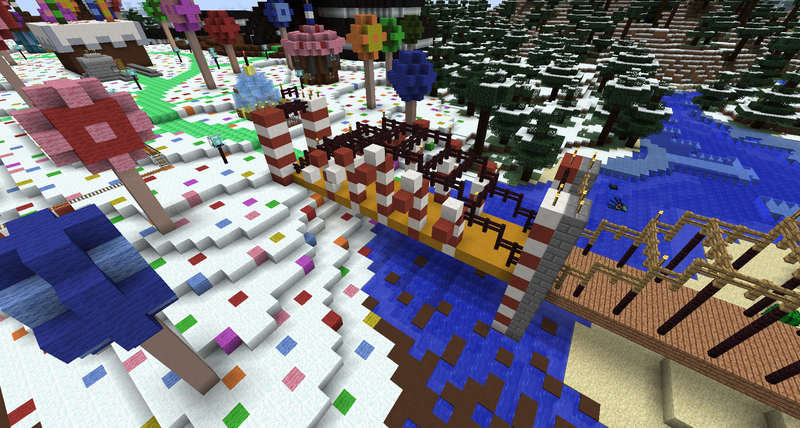 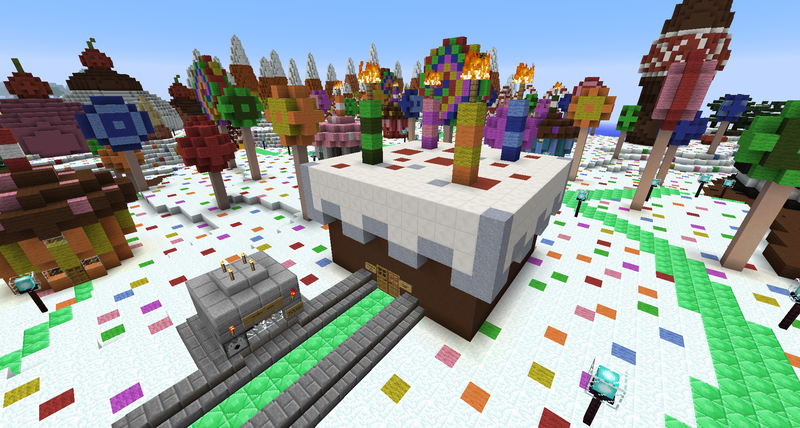 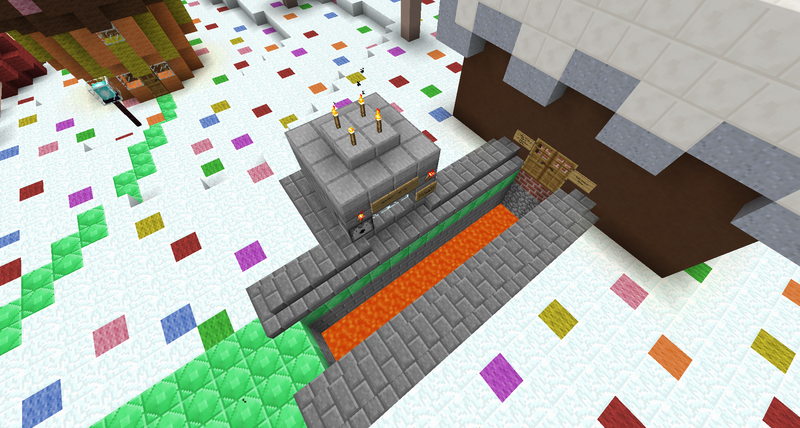 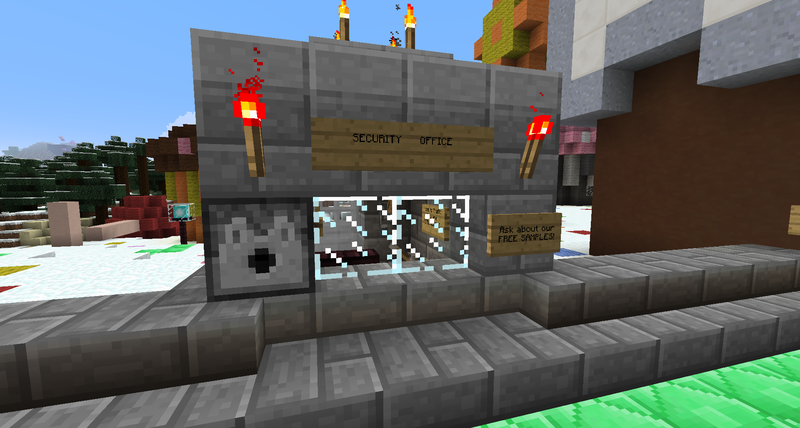 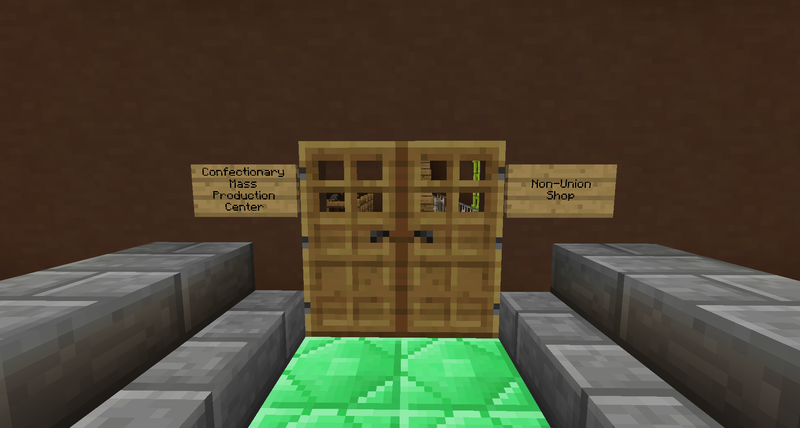 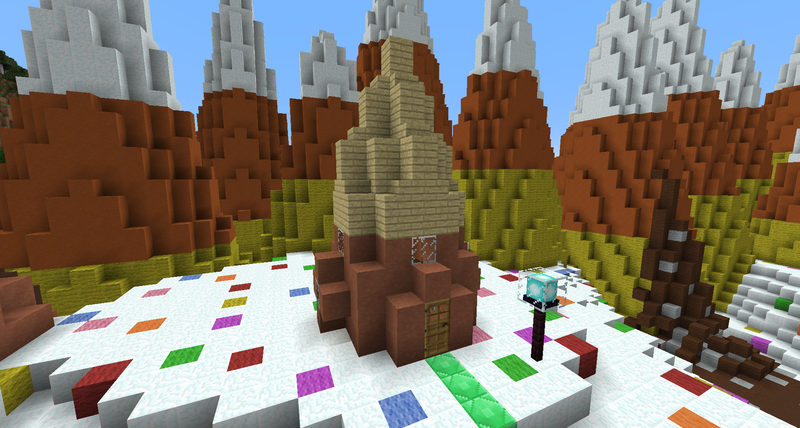 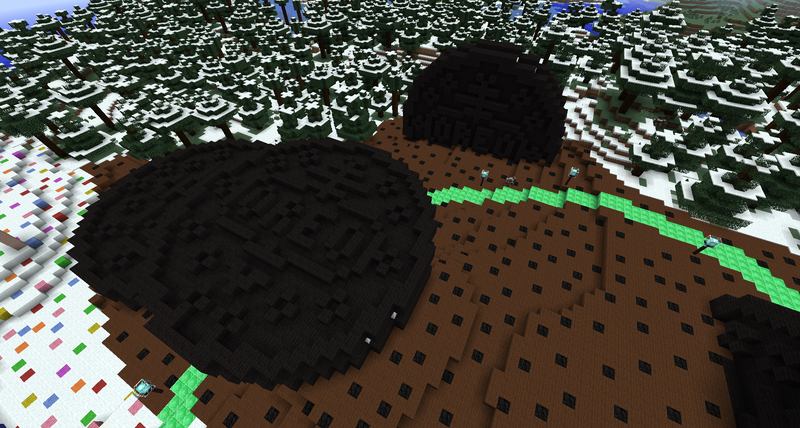 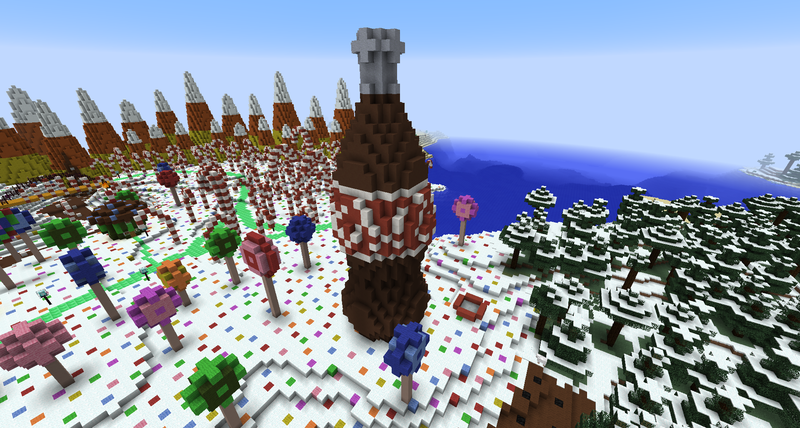 Considered hollowing out the ice cream for an additional building… any ideas?